Great nutrition that's great tasting! 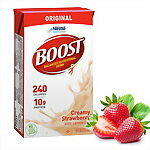 Provides 26 essential vitamins and minerals. Benefits patients who have malnutrition, are at nutritional risk, or are experiencing involuntary weight loss. FOUR (4) FLAVORS: Vanilla, Chocolate, Strawberry & Butter Pecan! 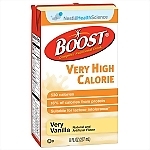 Concentrated high-calorie, high-protein nutrition drink with 26 enhanced vitamins & minerals. 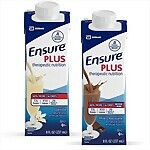 Provides vitamins, concentrated calories and protein to help patients gain or maintain healthy weight. Balanced nutritional supplement, containing a unique blend of carbohydrates designed to help manage blood glucose levels for persons with diabetes. (Formerly BOOST® Diabetic). Nutritious alternative to other snacks or desserts. 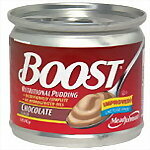 It provides a source of Complete, Balanced Nutrition® in a delicious easy-to-eat form. Have great-tasting nutrition for dessert! 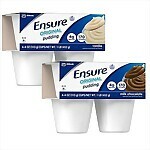 (great for those who require soft foods). Great-tasting alternative for better nutrition! 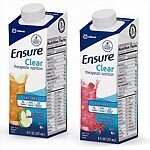 This clear fruit flavored liquid nutrition drink contains high-quality protein and essential nutrients. 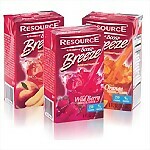 Available in Mixed Berry or Apple! 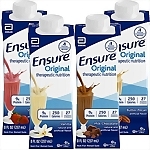 One 8 fl oz serving of this delicious fruit-flavored beverage delivers 250 calories (fat-free) and 9 grams of protein, helping to boost energy and maintain muscle mass. 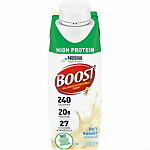 Nutritionally balanced drink that provides 15g of high-quality protein to help build muscles, bones and skin tissue. 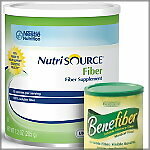 A concentrated source of fiber in a versatile powder form. Tasteless and odorless powder can be used in foods and drinks. 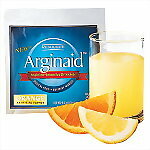 Arginaid® helps supply a rich source of nutrients to meet the body's unique needs during wound healing. 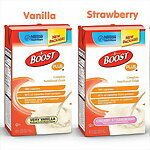 Each serving supplies vitamin C, vitamin E and 4.5 grams of the α-amino acid L-arginine. 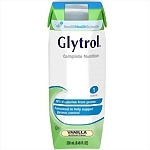 Developed by Nestlé Nutrition, this great-tasting, balanced nutrition formula is designed to help control blood glucose levels in those with diabetes. 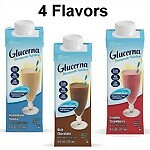 Glucerna Therapeutic nutrition Shakes is a great choice for patients who are trying to manage their blood glucose and weight. 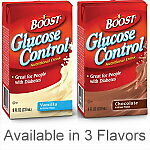 Includes CarbSteady® and low glycemic carbohydrates, clinically shown to help minimize blood glucose response.